It’s reasonable to expect that the medications we use to treat conditions should be safe to consume, but all too often San Francisco personal injury attorney Gregory J. Brod has been made aware of people who are sickened or worse by the drugs they take. And now, even one of the most common class of medications that millions of Americans rely on for relief, antacid drugs, may be hazardous to one’s health. According to the San Francisco Chronicle, a study conducted by Kaiser Permanente researchers that was released Tuesday has found that the long-term use of popular antacid drugs for indigestion relief can cause a deficiency of vitamin B-12. In its untreated form, that condition, in turn, has been blamed for an increased risk of dementia, nerve damage, anemia and other potentially serious medical issues. The study, which was published online in the Journal of the American Medical Association, found participants who consumed a class of drugs known as proton pump inhibitors – commonly known to the public through brand names such as Prilosec, Prevacid and Nexium – for a period longer than two years ran a 68 percent greater chance of developing a vitamin B-12 deficiency. The use of antacid drugs for the treatment of heartburn, stomach acid reflux disease and gastric ulcers has been fairly common in the United States since the 1990s, and many Americans typically take them for no more than the maximum recommended duration of eight weeks. However, some consumers have been taking antacids for much longer periods. The vitamin B-12-linked conditions associated with long-term use of proton pump inhibitors seem to be triggered because this class of antacids does such a good job of shutting down the stomach cells responsible for producing acid – but those same cells are needed to absorb vitamin B-12. 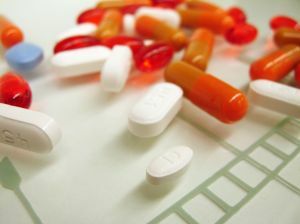 The possible serious consequences associated with the use of prescription or over-the-counter drugs is not a matter that consumers take lightly, but the negative downstream effects of some drugs is often something that consumers are not aware of until they develop an adverse condition associated with the drug. If you or a loved one has been sickened or harmed in that way, we urge you to contact the experienced attorneys at the Brod Law Firm for a free consultation.